Plastic travel mug from the Party Time collection depicting colorful sheep. Capacity: 35cl. Discover Party Time! Travel mug, trendy and colourful, to accompany you every day. You can bring this daily travel mug with you everywhere, for example in your car or at work to enjoy your beverages at every moment of the day! Brighten your kitchen and bring a touch of originality to your house with the « Party Time ! » collection! The brightly coloured, fun tableware creations and homeware accessories are only available in Le Comptoir Irlandais to delight the young and old alike! 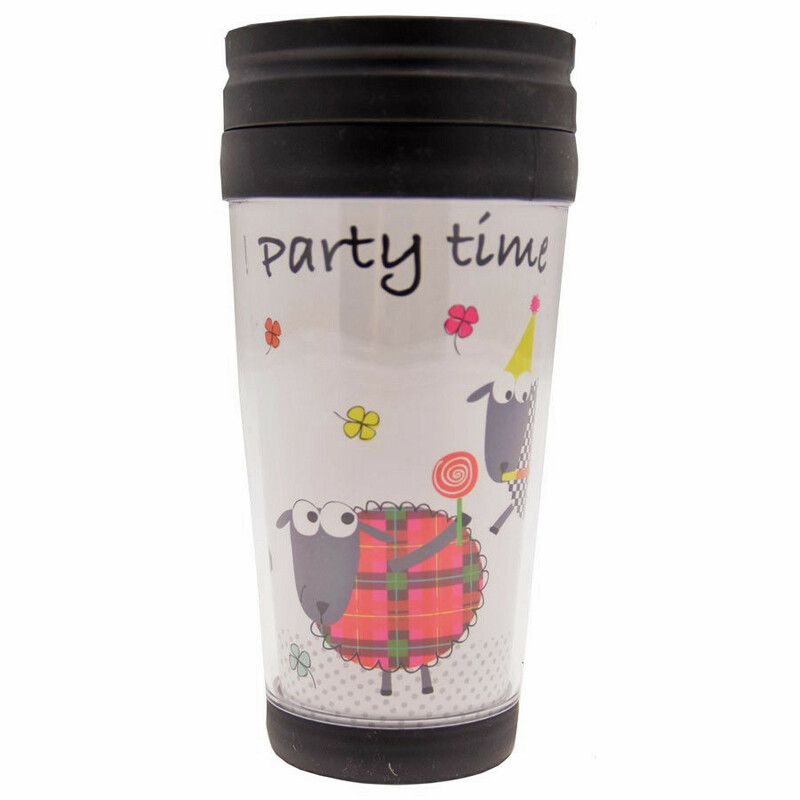 The funny little sheep and Party Time designs are devised in France and available on various accessories: on mug and tea-for-ones, teabags holders, magnets, bottle-openers, pencils, pot handlers and tea towels. Choose unique gifts from the Party Time collection and delight the whole family! Products from Party Time !